Post-screening discussion between Pure Nonfiction programmer Thom Powers and ORIGINAL CAST ALBUM: COMPANY director D.A. Pennebaker, COMPANY cinematographer Jim Desmond, Documentary Now! writer/performer John Mulaney, co-creator Seth Meyers, actor Richard Kind, writer Alex Brightman, and director Alex Buono. In this one-time only presentation, director D.A. 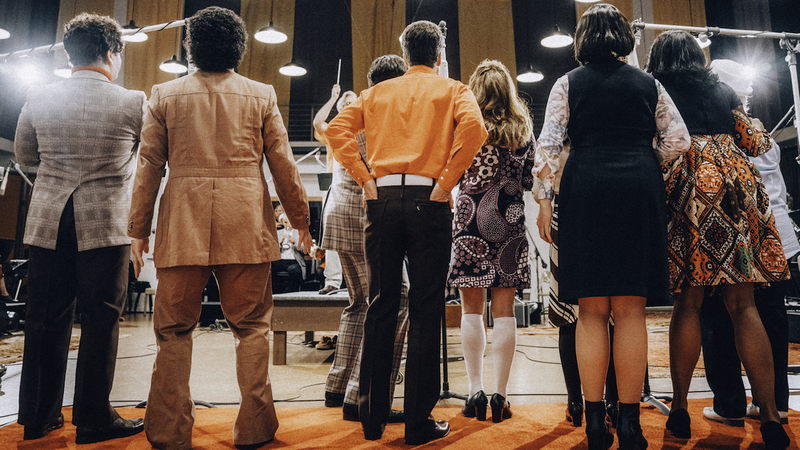 Pennebaker presents his 1970 classic Original Cast Album: Company that documents inside the studio recording of the album for the Stephen Sondheim musical Company. The film has become a Broadway cult classic for capturing the pressure cooker environment that culminates with Elaine Stritch undergoing multiple retakes of the song “The Ladies Who Lunch.” The hour-long documentary will be paired with a sneak preview of the new half-hour parody Original Cast Album: Co-op from the series Documentary Now! Now in its third season, Documentary Now! – from co-creators Seth Meyers, Bill Hader and Fred Armisen paired with Saturday Night Live filmmakers Rhys Thomas and Alex Buono – is beloved by documentary fans for its affectionate and hilarious takes. Don’t miss this singular chance to the original and the spoof back to back on the big screen, followed by a conversation with Pennebaker and other special guests.